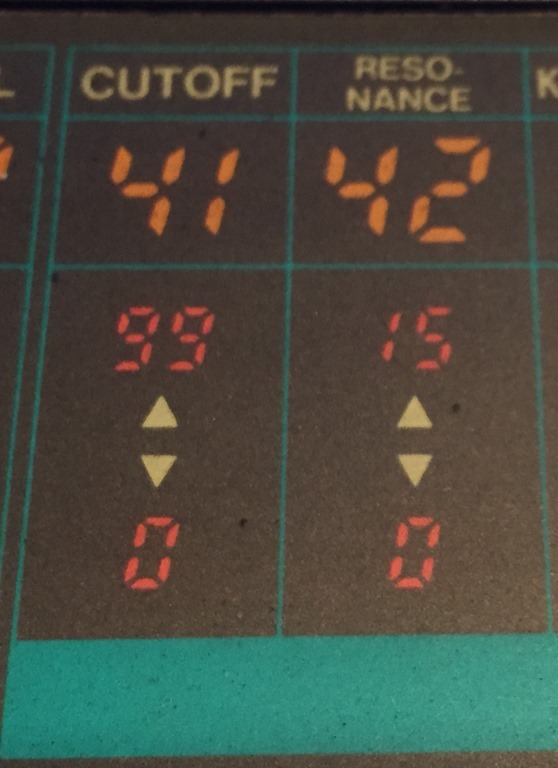 It was a fantastic first synth to own because even though you have to program it with two buttons and a 2-digit LED, all the parameters are laid out graphically on the top of the synth. Being able to easily visualize these parameters without having to crack open the manual quickly taught me about subtractive signal flow and architecture. It is also a quirky synth in that even though it has MIDI, it didn't have Sysex. This meant that back in the day, you had to save presets to audio cassette :^o. Note, you can find factory presets on the internet in .wav format (see links at bottom of post). 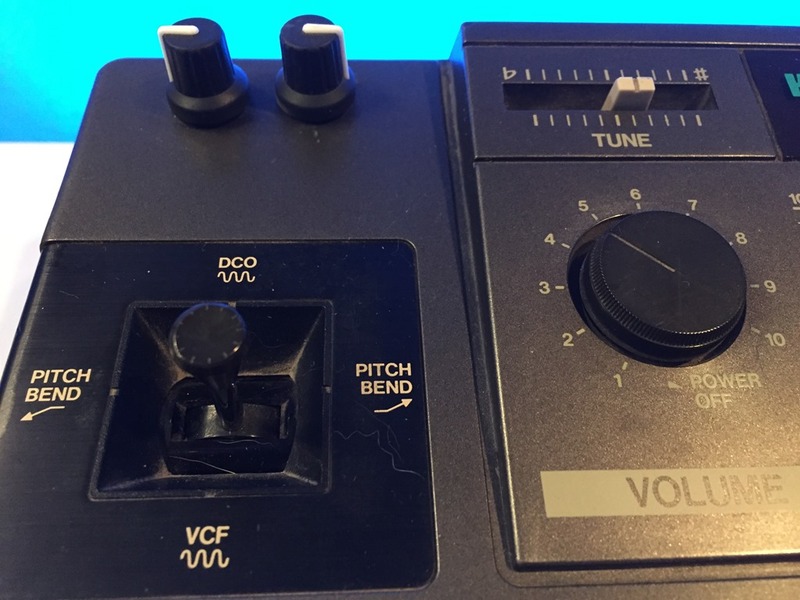 BTW – The Poly-800 MKII added Sysex capability along with digital delay effects. Another quirk that I like is that the filter is shared by all voices. So any time the filter is re-triggered, it's re triggered for all voices. This is actually a pretty unique feature and allows you to get cool strumming type sounds out of the instrument. I sold it years later to a friend to help fund another bigger ticket synth – probably an ESQ-1. Even though I sold it, the Poly-800 was one of my favorite synths of all time and I hoped to own one again someday. Well I'm happy to report that my friend Darwin Grosse (Art + Music + Technology Podcast) just sold me a Poly-800 with the added bonus of having the Moog Slayer filter modification. 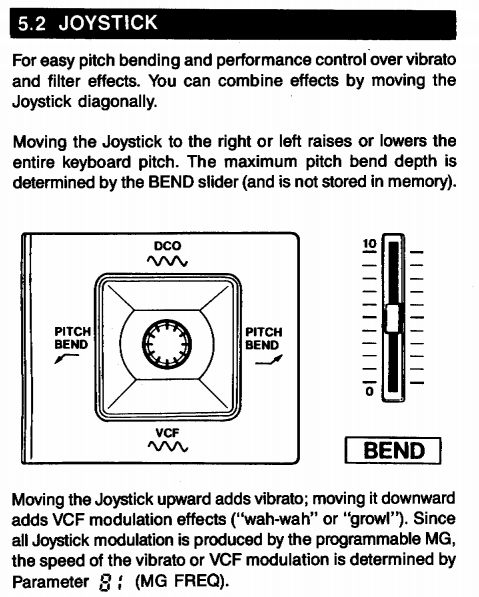 In a nutshell, this mod adds two physical knobs to the Poly-800 just above the joystick to control filter cuttoff and resonance. Before the mod you countrolled filter via the up/down buttons having only the ability to step through a discrete 0-99 range for filter, and a super lame 0-15 range for resonance :^( Pulling the joystick down doesn't sweep the filter but instead turns up the intensity of the filter LFO (called a MG or modulation generator on the parameter index panel). So this mod is really a game changer in that it allows you fine continuous control over these parameter with no zippering effect – woot! Now you can get to take yourself to the ragged edge of self-oscillation and can get all Hendrix with the Poly-800! Before I started my live improv, I created a sonic bed with a mashup of these three sounds using the Octatrack's "Pickup Machine" (which is a looper). I then did an improv in real-time starting with pure Poly-800 where I'm riding those new glorious cutoff and resonance knobs. I then live sample the Poly-800 into a "Flex Machine" and setup some sequencer trigs on the fly to trigger those samples. I fade in the bed I created in the pickup machine. I then play the Poly-800 and manipulate it's signal and signal of the the pickup machine and flex machine with pitch, low pass filters, comb filters, delay, lo-fi bit crushing, and reverb all courtesy of the Octatrack. 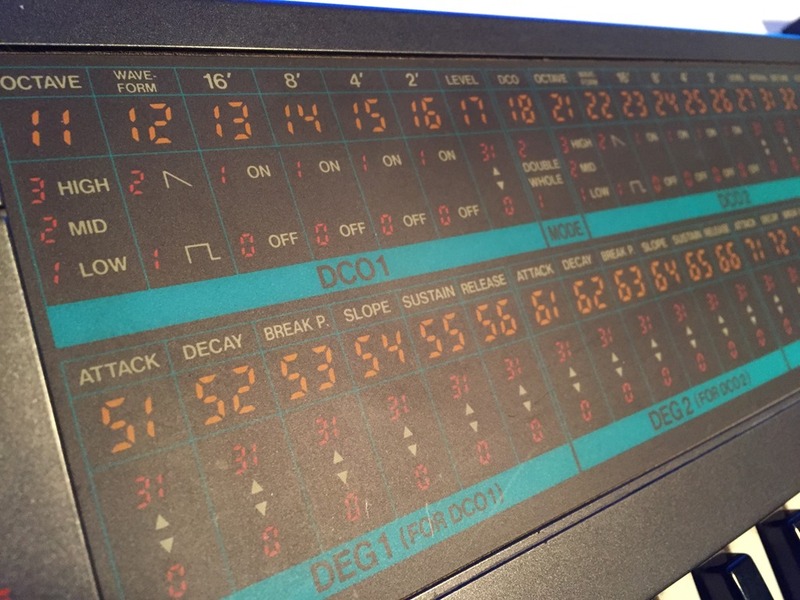 The piece ends with pure Poly-800 again – bam! I feel fortunate to have started with the Poly-800 in so many ways. 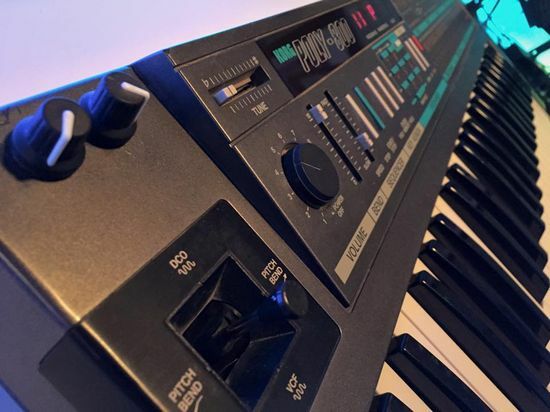 Learning to program through the 2-digit display and have to grok the architecture in my head (vs one knob per function) created a way of thinking for me that shortened my learning curve with instruments I would later buy like the Ensoniq Mirage (2-digit hex display). This certainly comes full circle when I consider the interface of the Octatrack. Deep, hard to learn, but the deeper you go, the bigger the reward. Thanks Korg for making such a groundbreaking synth at a price point I could reach when I was a baby synthesist and to creator of Moog Slayer Filter Mod. And thanks Darwin for reconnecting me with my first synth! Awesome! What a great synth! Really cool sounds in the track!